produce nothing after 1 year. This playbook will be facilitated by Manav Garg, CEO of Eka Software, and Naveen Gupta of AP Head of mobility for IBM. If you are interested in attending, please apply here, the last date for submitting your application is 27th May 2016. The Playbook roundtable is a format of event organized by iSPiRT (an association for Product Startups in India) that picks a specific topic that is vague or requires indepth understanding, anchors a few key entrepreneurs who have key insights on that topic, and invites hand-picked entrepreneurs who would benefit the most from the conversation for the roundtable. Each roundtable is no more than 12 participants. The anchor(s) kickstart the discussion, which evolves to a conversational format around best practices and key insights around the topic. Each session lasts approximately six hours. The insights arerecorded, and shared as Playbooks to the community. Bengaluru takes the lead in showcasing Public-Private Partnership. India needs this movement; not only for Indians, but for the aspiring and emerging worlds’ 5 Billion people, as compared to innovations focused on the one billion in the first world, who are already well served. This is the only way India can avoid the middle income trap, as we grow at 7-8%. The vibrancy of grass root innovation cannot be experienced through speeches and panel discussions within enclosed halls; its energy and exuberance has to be felt and unleashed. 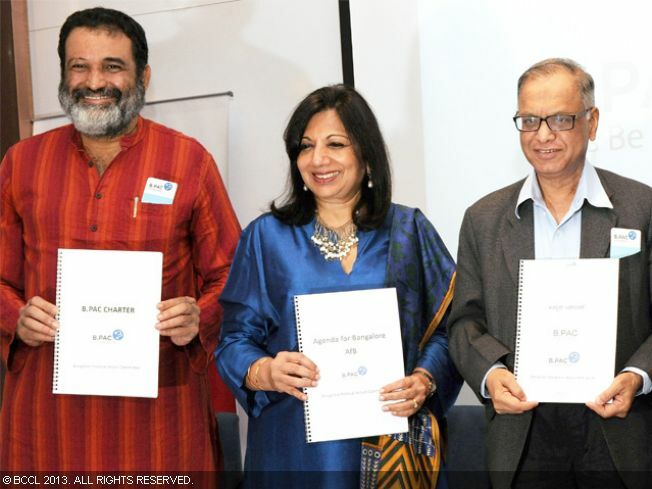 The Patrons of this event are Mr. Jayant Sinha, Minister of State for Finance, Government of India; Mr. Nandan Nilekani, Former Chairman of Infosys and Former Chairman of UIDAI; Mrs. Kiran Mazumdar Shaw, Chairman and Managing Director of Biocon and Mr. Mohandas Pai, Chairman of the Board, Manipal Global Education. Simply because we have an ‘innovation’ deficit in the country today! We are no doubt an enterprising nation, but we still have a long way to go when we look at being an ‘innovative’ nation. However, please note that there is no shortage of imagination and creativity in India. We need to build our skills where this imagination and creativity is applied to generate unique solutions to local problems. InnoFest is the platform to tackle this challenge. InnoFest will have various programs like MakerSpace, Product Zone, Hall of Fame, Young Innovators Zone, Townhall and eminent speakers across a galaxy of disciplines including Naveen Tiwari (InMobi), Rohan Shravanan (Notion Inc), K Ganesh (CEO, Portea Medical), Arundhati Nag (Film Personality), Vijay Chandru (Strand Life Sciences), Bhavish Aggarwal (CEO, Ola Cabs) and Phanindra Sama (RedBus). InnoFest has been conceived as a day-long festival of ideas and inspiration that will exponentially multiply innovation across the country and make India into a Product Nation. iSPIRT strongly believes that a robust software product ecosystem is the key to rapid growth across the country. More than 1,000 professionals are expected to participate, pan India. Further details of the event are available on the Innofest website & FAQ’s can be accessed here. Manav Garg’s career exemplifies the statement “where there is big risk, there is big reward”. Throwing up a lucrative, six-figure plus salary and bonus as a commodities trader to start a software company that would build a commodities trading product required guts. Manav took it in his stride and today has built a world-class company that competes globally with its commodities trading software. 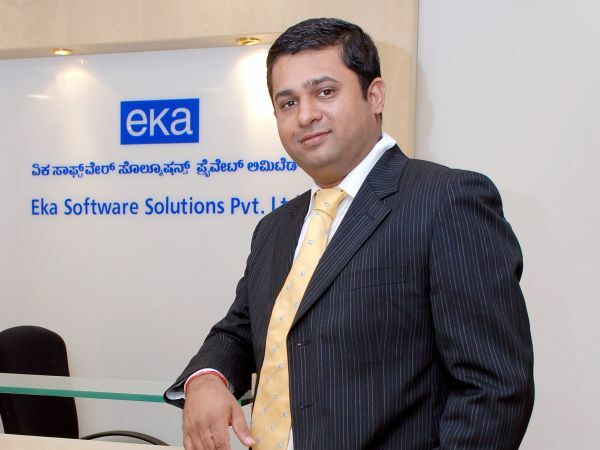 He’s also built a company – EKA Software – that is domain driven and highly customer centric. In this interview with ProductNation, Manav talks about the origins of his company and some key factors that went into building it. You began a career in trading commodities. So when and how did you foray into the software industry? Yes, I am not a techie. I used to trade commodities enjoying import and export for a firm in Mumbai. But during this time, I saw a need for software for commodity trading. So, I spent more almost 24 months meeting with customers as a trader, trying to understand how to fill the gap and how systems would be a boon to traders like me. Since I have no background in software, I researched for a year on the requirements of the commodity trading industry, how it works, how to install a system for a particular pain point. I moved to Bangalore, and set up shop, hired people and started out, spending almost 50% of my time meeting and talking to people on the benefits they would get from the software. This was how I educated myself about software. So you are saying that your entrepreneurial spirit was lit by your ability to identify an opportunity. While there are opportunities everywhere, the main point is you need to have the guts to take a risk, and the research to back it to believe that the opportunity can be translated into business success. Obviously, in my experience this is exactly what happened — careful research combined with my intuition that this opportunity will be a success. Many times too much research is done with no action. I do not believe in market reports. I believe that research and study done by yourself and through interaction with customers and feel of the market is what will make your product a success. How do you identify customers and ensure that they will give you the right picture while your product is being built? Since I was in touch with customers for 24 months before starting the business, it was easy to contact them. It is important to know how to convey the right message to your customers, tell them about the kind of solutions you are proposing. Moreover, if you are connected on LinkedIn through your professional contacts and friends, you can easily connect with customers. I don’t think it’s a big a challenge to identify customers. I think the biggest challenge is the right approach. I recall when I contacted people whom I have known for at least five years, be it in Hamburg or Amsterdam, we were able to relate because they felt that I understood their pain points and were confident that I would bring to the table valuable solutions. So your next step was to build the team. So how did you form the right team, especially the founding team? You must be passionate about your product because then you can speak with conviction about the advantages of your product. When I started, I used the personal contacts route. At that time, I did not know anybody in the IT sales or products fields. All that I was confident about was that Bangalore is a good place to do business in the IT field. I met people, worked with them for some time, and they helped me understand how the whole industry works. For product development, I also reached for professional assistance to some of the larger technology MNCs who had more experienced talent. Since I did not have a software background, I decided to concentrate on sales from inception. For any start-up I think it is very important to decide from an early stage as to what is the main driver in the business. If you are doing business applications then sales is key driver, if you are doing online sales then marketing will be the key driver and if you are making tech based products then technology is the key driver here. But if it is very important to identify the key driver that will then help decide the skill set of the team. Today, what would you say are the key things that differentiate EKA in the market? For many years, people have been trading in rice, sugar, wheat and metals. It is important to have a good supply chain to manage this trading. And for this you need excellent software that simplifies the supply chain. This was the challenge as a trader I was trying to overcome. We basically cover that need in EKA today. A lot of our competition, mainly in the US, is focused on crude oil, gas, trading industry. We were the first one to focus on the commodities industry and therefore had an edge in the market. We carved a niche for ourselves. Please share with newer entrepreneurs the learning’s that you have had over last five years, especially amidst the challenges you and other emerging companies in India face? The biggest challenge is putting together the right sales team. The product might be good, but it is the taking of it to the market that will bear fruit. You also need an efficient global online distribution model. Another serious issue is how to retain employees. How do you convince people that your product is here to stay for a long time and not just a couple of years. Emerging companies need to convince employees that their products are not fly by night, but bring value to customers and, thereby, employees over a longer span of time. 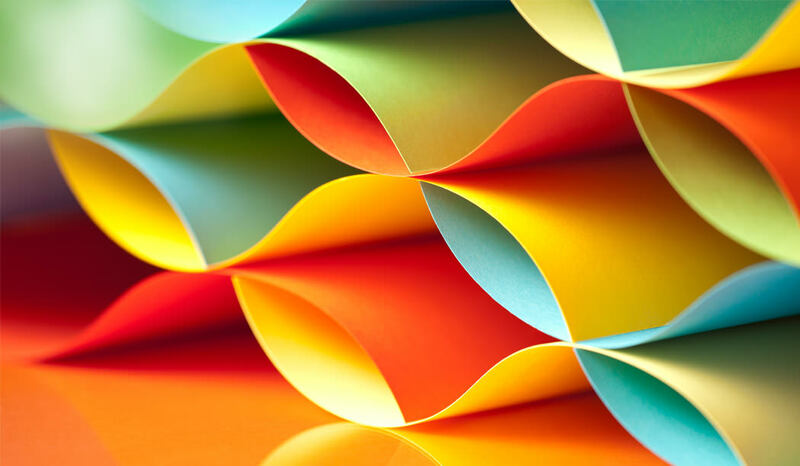 While we usually focus on product, process and business model innovation as the main facets of innovation, some of the most impactful innovation can be the result of new organizational forms. Take the case of India’s white revolution. This was driven by a unique 3-tier structure of organizations – the farmers’ cooperative at the village level as the basic organizational unit; a district-level federation of cooperatives with milk processing and marketing capabilities; and a state level apex body with brand and product management capabilities. And, behind this structure were larger organizations like the National Dairy Development Board at the national level that channelizes resources, support long-term investment activities, and accesses new knowledge and inputs. This arrangement takes advantage of flexibility – when required NDDB can look like an extension of the government, when required it is an independent body working with farmers’ cooperatives. This flexibility has helped it manage in a complex environment. Last week saw the birth of some organizations nowhere as complex as the milk production structure, but with the potential to have major impact. NR Narayana Murthy launched the Bangalore Political Action Committee or B.PAC as it is being called. This is the first time we are seeing an organization christened as a PAC in India, though this is a common term in the US. I presume this similarity is not just a matter of coincidence. PACs in the US are not political parties, but organizations created to advocate and support a particular agenda. The B.PAC has similar objectives. At one level it aims to restore the quality of life of the city of Bangalore. But at another level it is a pressure group for more political power to cities which are the value creation engines of a modern economy. The B.PAC’s initial agenda is to enhance urban (read middle class, educated) voter enrolment and voter participation. They also promise to support candidates who back their agenda (new forms of city government, more resources, better urban planning, etc.) In the forthcoming assembly, parliament and municipal corporation elections. Subject, of course, to their meeting other criteria like no criminal cases against them, no record of corruption, etc. B.PAC has been formed by a group of resourceful and successful individuals who have for long been expressing their dissatisfaction with the state of affairs like Kiran Mazumdar Shaw and Mohandas Pai. It represents their response to many of the issues they have raised in the past falling on deaf ears, and their inability to have a sustained impact on the political system. Of course, the “involvement” of successful industrialists in efforts to improve Bangalore is not new. During the chief ministership of SM Krishna (1999-2004), the Bangalore Agenda Task Force was created under the chairmanship of Nandan Nilekani. The BATF tried to play the role of a coordinating body, creating a platform for different civic agencies, citizen groups and the state government to come together. While the BATF did manage to do some of this as well as have new bus shelters and toilets built, it was a body without any political legitimacy and was hastily disbanded after the Congress lost the 2004 elections in the state. Newspaper reports indicate the existence of a similar attempt in the last few years under the chairmanship of Rajeev Chandrashekar. However, this one has been low key, restricting its role to that of a think tank. But again the long term impact doesn’t appear to be substantial. B.PAC is an interesting development because it shows an inching of rich, successful “middle class” entrepreneurs towards electoral politics. Though apolitical in the sense that it is not a political party, B.PAC clearly has a political agenda. It represents a growing realization that technocratic approaches can’t solve India’s problems. It also suggests that the efforts to create alternate public spaces such as those tried out by Janagraha or the BATF itself could have only limited success. The creation of the B.PAC is a welcome development, for the next logical step will be immersion in electoral politics. I hope to see a party such as the German Green Party emerging out of this process with the ability to push urban issues at the national level. 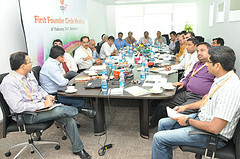 The second organizational innovation in the last week was the creation of iSPIRT – the Indian Software Product Industry Round Table. It came into the public view amidst controversy with a Times of India headline announcing it as a breakaway trade body from Nasscom. iSPIRT’s spokesmen were quick to assert that the organisation is an industry round table (not a trade body), that it will not offer membership, and that the founders will continue to be part of Nassom (Disclosure: I am a part of the iSPIRT Founding Circle). I am excited by the prospect of iSPIRT because of the new activities it is promoting. An important role it will play is to act as a market maker. India has lakhs of small and medium businesses. These businesses are important sources of employment and economic growth but they face a major challenge of maintaining their competitiveness. Information technology has the potential to enhance the efficiency of these businesses. However, these SMBs often lack the ability to evaluate vendor proposals. They are price-sensitive, and risk-averse as far as IT is concerned. Burnt by past experiences, they are wary of making fresh investments in IT. Under its iSMB initiative, iSPIRT plans to bridge the gap between domestic software product vendors who have relevant solutions and SMB customers. ISMB will study different verticals, map needs, and certify products meeting the vertical’s needs. Only product companies that have customer dispute resolution mechanisms in place will be accredited. Product companies will get feedback on where their solutions fall short of customer requirements. This initiative is designed to bridge the trust deficit that exists today between vendors and users. ISMB will build on the positive experience of CIO Connect, an earlier effort to bring Indian product companies and large Indian corporate IT users together. Though in theory markets provide the opportunity for sellers and buyers to come together, information asymmetry and high transaction costs can prevent markets from functioning efficiently. Initiatives like ISMB and CIO Connect help smoothen out these market imperfections. B.PAC can also be seen as a market maker. A democratic system in which a whole chunk of voters does not participate will not reflect the needs of different interest groups accurately. We tend to expect government to combat market failure. Both B.PAC and the ISMB initiative of iSPIRT represent voluntary, community efforts to do so. I will watch both these organizational initiatives with interest. Following up on this post by Mukund Mohan, the first session of the office hours will be held on 8th January (Tuesday) at the Microsoft Accelerator (Lavelle Road, Bangalore) from 3PM – 5PM. 4 startups that apply on a first come first serve basis will be given a chance to meet, pitch and take feedback from Anil Joshi from Mumbai Angels or if you are really good, Anil might agree to fund you right there! Each startup will be given 30 mins, 10 mins for pitching and 20 mins for discussions. So fill in this form if you are interested! We are planning to release research findings every month week as part of our startup support program at the Microsoft Accelerator in India. There are about 50 different topics that we are curious about and are consistently doing research to find out ways to help our accelerator companies perform market research, target early adopters and focus on getting more customer traction. This series is part of our accelerator database on engagement with startups, investors, mentors & entrepreneurship. Last week we did a report on Smartphone usage in India. This week our focus is on the rate of companies starting and closing in the technology product space. Over the last few years Microsoft has been tracking new companies as part of its Bizspark program. Besides this we have access to several databases from multiple sources which has allowed us to consolidate all these into a single system to track startup activity. While we currently track over 73 different elements including founders, starts, closures, funding, etc. our focus is on trying to find patterns that can give us more clues to remove the roadblocks that reduce entrepreneurial failure early in the system. We track over 6200+ entities – which includes services companies with a “product” they are building and also many viable side-projects, where the founder is generating some traction or revenue and 3900+ companies that are solely focused on building products (includes SaaS, eCommerce, traditional software, consumer Internet, etc.) in India. On average there are about 450+ starts annually over the last 3 years, which has grown dramatically thanks to eCommerce. While Bangalore has the most number of technology product startups overall, at neary 40%, Delhi/NCR came a close second in 2011, only to return to normalcy in 2012. In terms of closure, 26% of companies still close within a year of them starting (either the founders giving up and moving on, or the company going dormant). The biggest issue for closure (given that nearly 80%+ of all companies are bootstrapped) is collecting money from customers who have committed to paying for their usage of the product. While not being able to raise funds is really #1, that seems to be a generic reason enough and a motherhood-and-apple-pie situation. Unlike the valley (anecdotal information alone) most failed entrepreneurs dont go on to start another company or join a startup, but instead go to work at a much larger company (over 60%). Most reasons given were because of loans to payoff or pressure from parents (surprisingly not from any others). Our recommendations are for new entrepreneurs to have a “cushion” of nearly 18 months in funds in their personal capacity before they delve into a new venture as opposed to 6 months. We also recommend asking new customers for an advance in payment as part of the Proof of Concept instead of payment after the fact to aid in managing cash-flow more effectively.